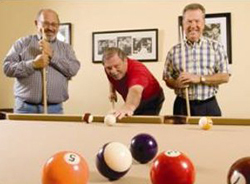 When we retire, most of us are interested in active retirement living, and Century Residential has just the place: Vienna Square in Winter Haven, Florida. Offering low maintenance single family homes, or maintenance-free villas, this is one of the best Florida retirement communities anywhere in the Sunshine State! After a lifetime spent in an office or behind a desk, snatching a few hours at the gym as best we could, many seniors are looking forward to more activity when they retire, not less. Vienna Square is designed for those who want to maintain an active lifestyle in a home of their own, but without the burden of maintenance on the property. All our villas come with complete maintenance for the exterior, including lawn, landscaping, exterior paint and roofing; plus basic 78 channel cable and monitored home security system. They come in two floor plans. Both are single story for ease and safety. 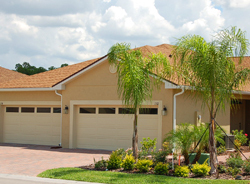 Vienna Square also offers single family homes with many of the same conveniences as our villas. The choice is yours. Keeping our bodies healthy and active is part of the goal, but we also need to keep our minds and spirits active and healthy. Active retirement living at Vienna Square offers a variety of activities and amenities to allow residents to stay happy and engaged in life; and Winter Haven has a wide variety of places of worship for spiritual health and community. Our centrally located clubhouse includes a fitness center, tennis court, and heated pool, but it also has a ballroom, a billiard room, a movie theater, and specially scheduled events and activities every month. No one wants to plan a retirement based on what you will not be able to do in the future, but realistically it is a good thing to consider. With our a la carte services you can add extra assistance as you need it so you can move once, and know you are covered for the future. Meal plans, laundry service, scheduled transportation, weekly housekeeping, wellness exams, even medication management are all available as needed. 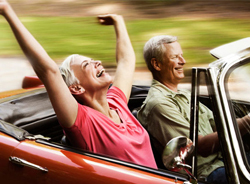 When you are ready to select a home for your retirement, you want to make the right decision. In order to help you do this, let us arrange for you to come and visit us, show you around and let you see for yourself what a wonderful place Vienna Square from Century Residential is! 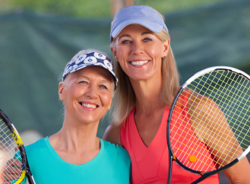 Don’t settle for less than the best in active retirement living.